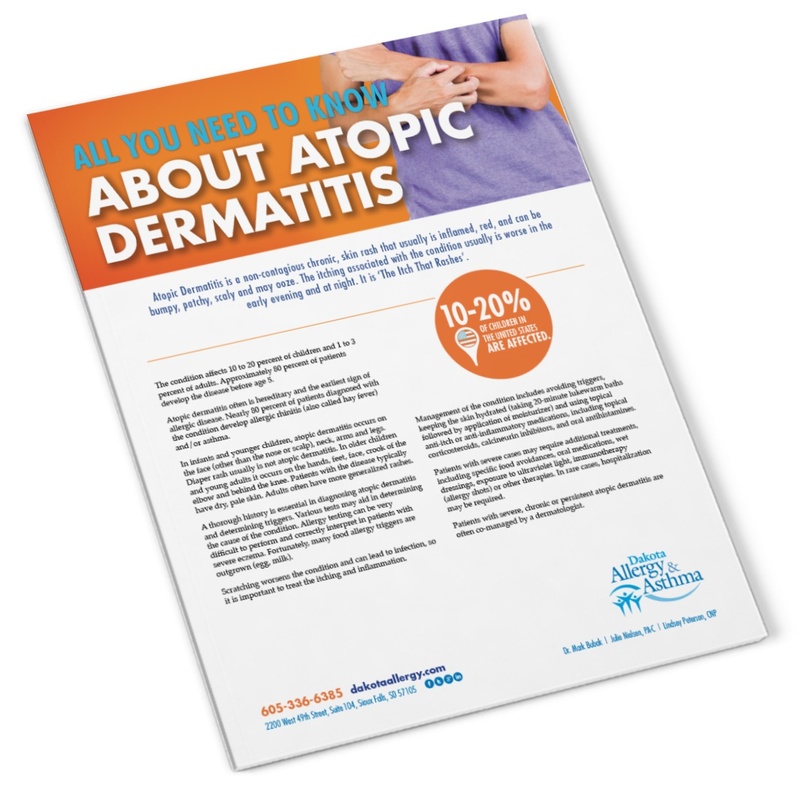 Download “All you need to know about atopic dermatitis” Now! Atopic Dermatitis is a non-contagious chronic, skin rash that is usually inflamed, red, and can be bumpy, patchy, scaly and may ooze. This rash is found in both adults and children and can be miserable no matter your age. 10-20% of kids and 1-3% of adults in the United States are affected by atopic dermatitis. If you or your child are one of them, this resource provides helpful tips on how to manage this often frustrating condition.